You know what they say; April showers bring May flowers. 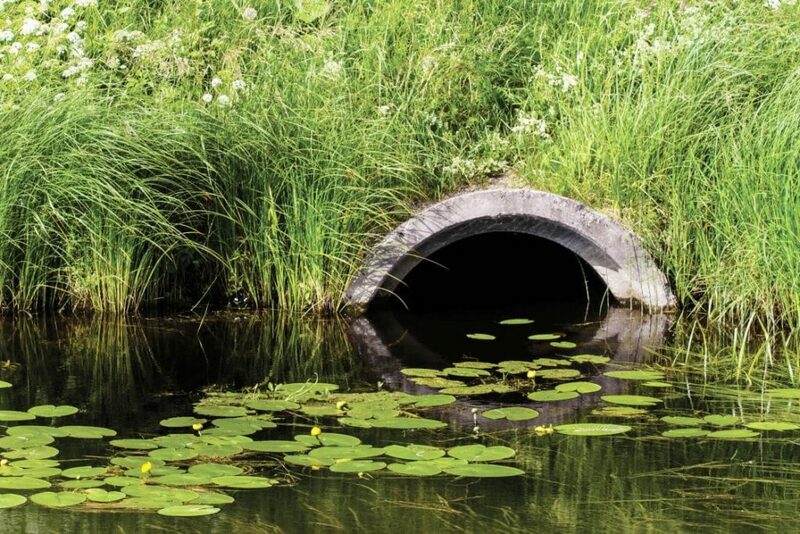 While the start of spring and warmer days to come is certainly exciting, it’s important not to oversee what else comes with an increase in seasonal rain – stormwater pollution. Stormwater is water that comes from precipitation and snow/ice melt. The water either soaks into exposed soil or remains on top of impervious surfaces like pavement or rooftops. Most stormwater will eventually evaporate, but often times it will flow as runoff to another location. As the water runs it picks up pollutants along its path including debris, sediment, pesticides, fertilizers, pet waste and more. This polluted stormwater can cause soil erosion, stream impairment, flooding, fish and wildlife habitat loss, and reduced groundwater levels. Although stormwater pollution cannot be eliminated completely, you can do your part in preventing it. Check out these six ways to help prevent stormwater pollution this spring. As you start a spring cleanup in your yard, it’s important to remember that storm drains are not garbage disposals. Substances including leaves, yard waste, and other debris should be disposed of properly, and not released into neighborhood drains. Do your part to ensure that the only thing flowing into the storm drains are rain and snow/ice melt. 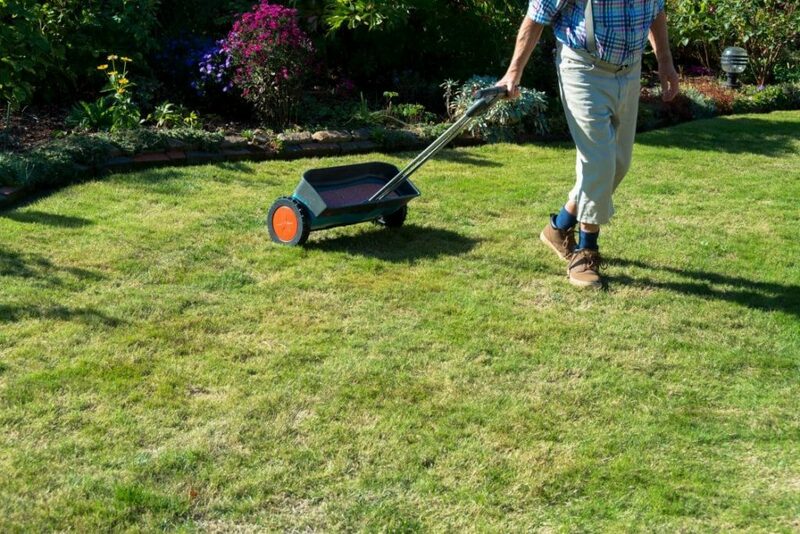 With the arrival of warmer weather and outdoor summer fun on the horizon, now is the time when people start getting their lawns in tip-top shape. When it comes to fertilizer, remember that a little goes a long way. While a 20-pound bag of lawn fertilizer may seem small, do note that it will typically cover up to 4,000 square-feet of space (bigger than a tennis court). When spreading the fertilizer, use it sparingly to assure the excess does not overflow into runoff when rain comes. Choosing an organic fertilizer will also be less detrimental to the environment. While fresh, green grass is the end-goal for most yards come springtime, be sure not to over-water your lawn. In addition to the risk of fertilizer flowing over and out into the streets, it’s not good to have pools of water collecting in your grass. Avoid this by scheduling times each week to water your lawn, or by turning on sprinkler timers. If you plan to wash your car at home, find an outdoor surface such as gravel, stone or grass to wash it on. Soapy water and grime will have an easier time neutralizing if it is filtered out before it reaches our streams and creeks. Try using a non-toxic or biodegradable soap as well to allow fewer chemicals to get into the water. An even safer alternative would be heading over to your local car wash where they will have a system in place for recycling or removing wastewater. Although this sounds like a given, there are still many folks who do not pick up their pet’s waste. Pick up, bag, and dispose of pet waste properly to assure that unhealthy bacteria is not flowing into local waterways. When it comes time to choose either grass seeds for your lawn or decorative plants, go with a low-maintenance, native (ones that occur naturally in a region in which they evolved) option. Because native plants adapt to local environmental conditions, they require far less water and are a lot better for the environment. Curious about what types of native plants are in your area? Check out this Native Plants Database to find out! Interested in learning more about eco-conscious stormwater management to avoid stormwater pollution? Check out our infographic here and keep these tips in mind as you get going on your spring activities.